Folk Alliance International is the annual gathering of the tribes for those individuals too stubborn-headed to worry about the major commercial applications of performed music, and instead do it for the spirit of the art, the community it creates, and/or to preserve primitive musical art forms in their most pure state, fusing them if possible, but leaving the regional flavors and dialects in tact, and paying these most unique expressions and new vibrant takes on folk music forward for future generations to enjoy. Consider it the antithesis of what occurs in the mainstream, where the differences in music are something to be torn down and resolved in the ever-present march of cultural homogenization sold as “evolution” to the point where no matter what point on the radio dial or spot on the map you land on, it all sounds the same. 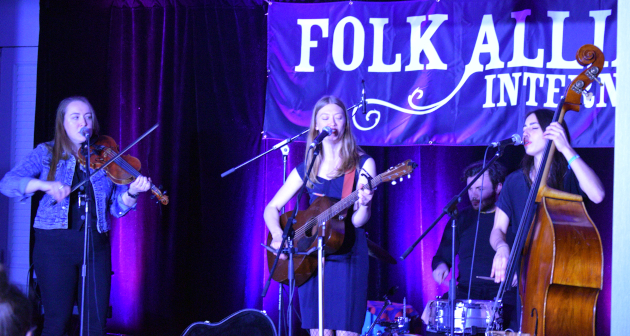 At Folk Alliance, you might walk down the hall of the host hotel where various bands and organizations set up showcases in hotel rooms, and hear traditional American folk music pouring out of one door, traditional country or bluegrass out of another, Tejano, Irish folk, Mongolian throat singing, Cuban sonnets, singer songwriter material, and everything in between creating a lush tapestry of sound, and offering a new surprise around every corner. Trekking to Montreal, Canada in the dead of winter may seem like fool’s errand, and with a strong Northeast storm disrupting travel plans early in the week and dumping a good bit of snow on the city, it could have been a difficult year. But Montreal revealed itself to be a nearly perfect venue, with the city’s famous labyrinth of underground tunnels, shops, and restaurants offering exploratory options without having to brave the weather, while also facilitating a cultural tie-in since the host hotel was the Fairmont Queen Elizabeth where John Lennon and Yoko Ono famously staged their “bed in” 50 years ago this year. Heading to Canada is something the Kansas City-based Folk Alliance has done on multiple occasions over its 30 years as a way to underscore the organization’s international commitment. 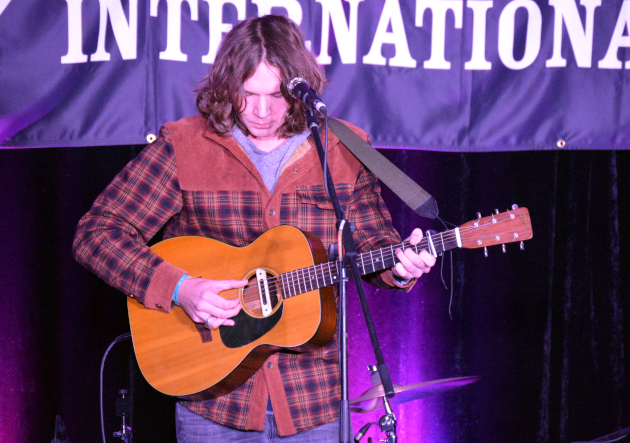 If nothing else, the event regularly offers insight into the Canadian roots music market, along with other countries outside the United States-centric perspective, even when it’s held in the lower 48. 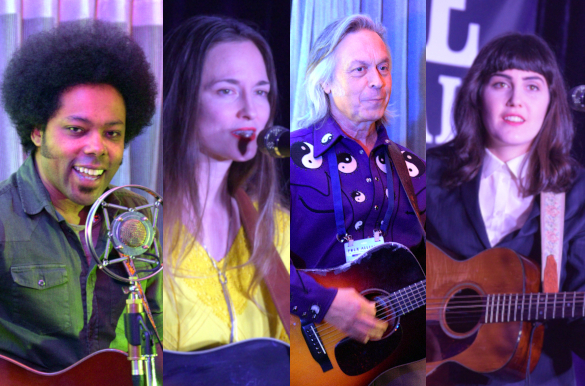 With the daunting amount of artists attending the event, and the diversity they contain leave any encapsulation of Folk Alliance feeling incomplete, and just focusing on country music would be against the spirit of the event as a discovery point for all roots music. 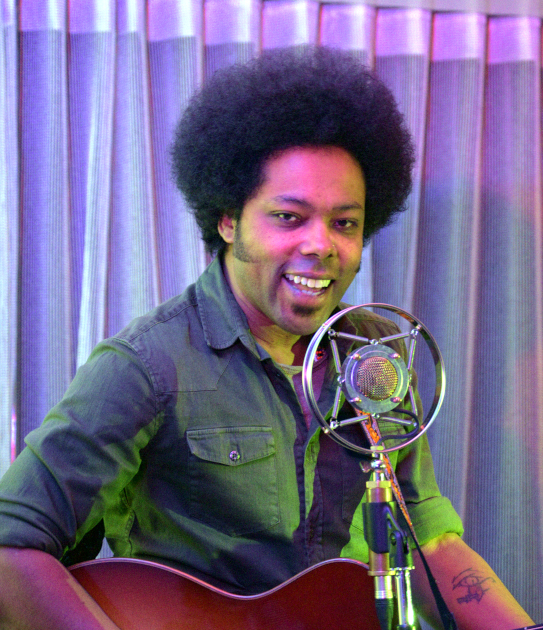 One artist who made a big impression beyond the country sphere was Cuban expatriate turned Canadian resident Alex Cuba. The tenderness with which he delivered his Spanish language compositions were easily translatable to all ears. 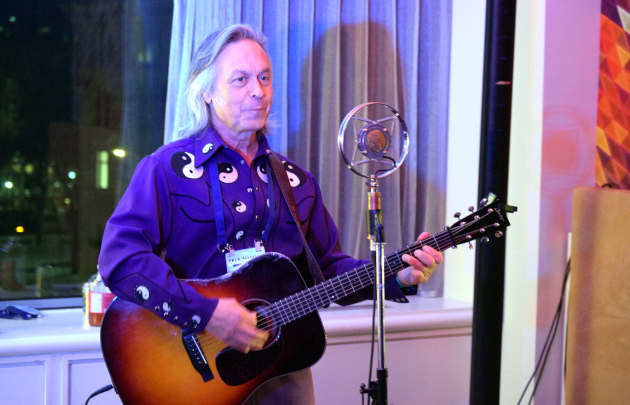 On the country side of things, songwriting legend and the Father of Americana Music Jim Lauderdale was one of the biggest names at the fest, and brought his folksy stage banter and incredibly-delivered songs to appreciative Folk Alliance crowds. Robbie Fulks also made an appearance with his winsome and wise-cracked songs. 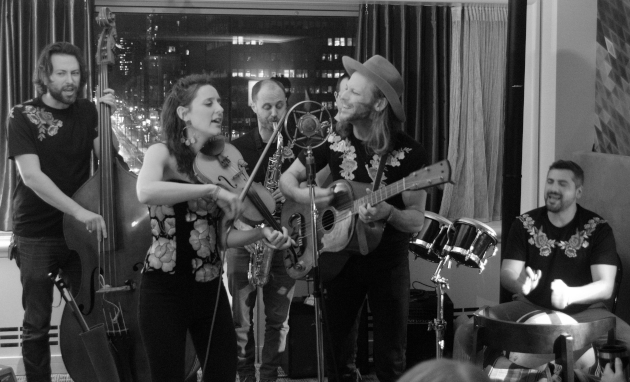 Saving Country Music Album of the Year nominees El Coyote were lucky enough to have Folk Alliance come to their home town of Montreal in 2019, and just in time to keep the momentum going for their debut, self-titled record. 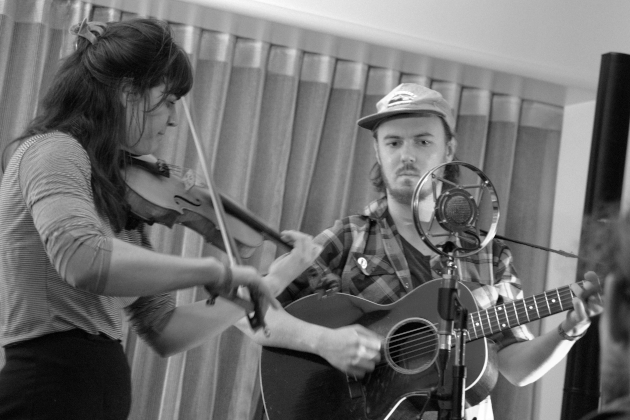 Their 3-part harmonies backed by tasteful accompaniments left hearts full wherever they played. 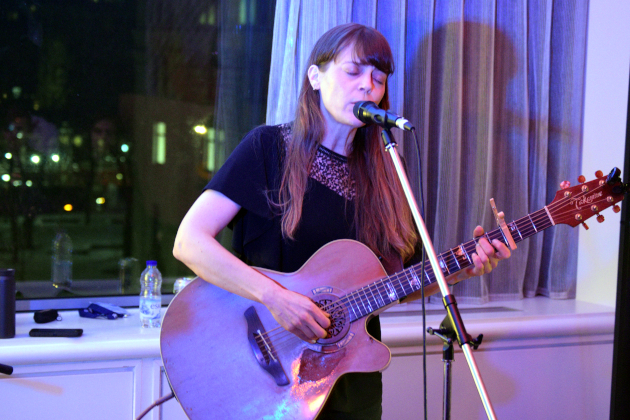 Another Canadian in the form of British Columbia’s Sarah Jane Scouten continues to prove she’s one of the most underrated roots performers out there. She’s got the voice, the songs, a cool vintage ravenesque vibe, and a bit of sass to her music that makes her just as fun to see live as it is to stream her records. Portland’s Anna Tivel also impressed. She makes a whisper sound like a roar, delivering such powerful notions on incredibly delicate sounds that the most raucous room is hushed through an inescapable power to stop down and listen. Similar notions can be attributed to Adam and David Moss of The Brother Brothers. “Perfection” is often used as hyperbole in music. But when it comes to these brother harmonies, it’s the only viable option to describe the purity these two evoke. 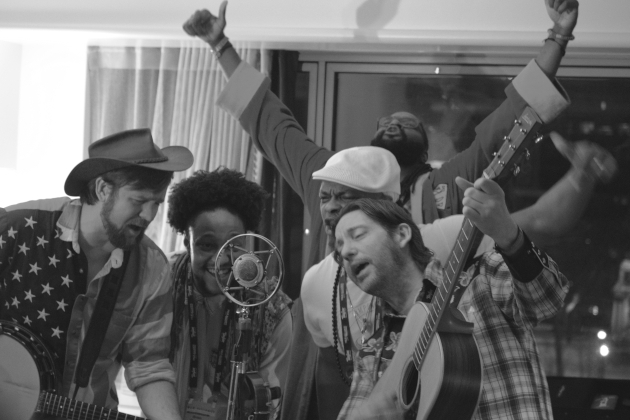 Another big name at the conference was the bluegrass and hip-hop fusing Gangstagrass. Popularized by their musical appearances in the television series Justified, they’re one of the few genre benders who has gained the respect of many roots fans for not watering down the music of hip-hop and bluegrass to create the widest possible audience, but approach both genres with respect. 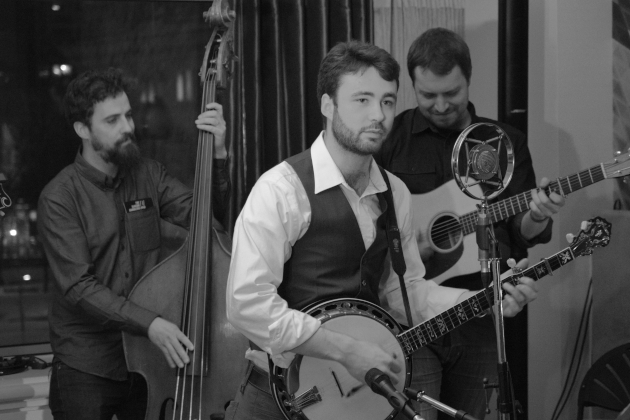 Think less Florida Georgia Line, and more Kendrick Lamar collaborating with Del McCoury. They’re not genre benders, they’re genre fusers, leaving all the hard edges on the music, and illustrating the shared themes of hip-hop and country when not watered down for the masses. It still feels more like a mashup than something that’s conjoined seamlessly, but folks have a hell of a good time listening to them. 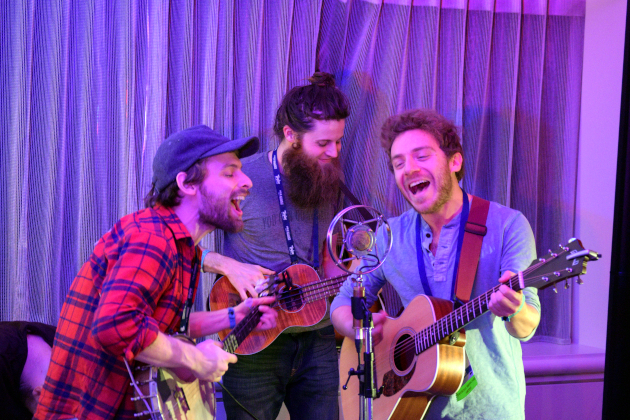 They were at Folk Alliance promoting their new live album Pocket Full of Fire. 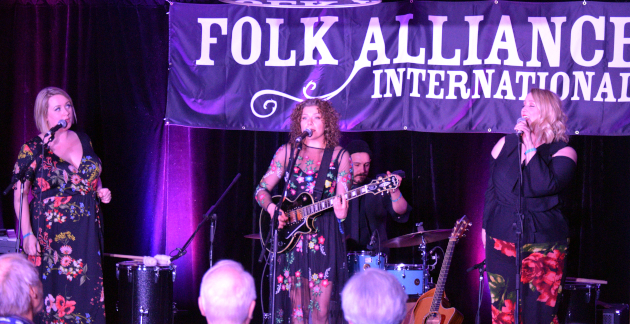 Some photos and additional observations on performers from Folk Alliance 2019 can be found below. 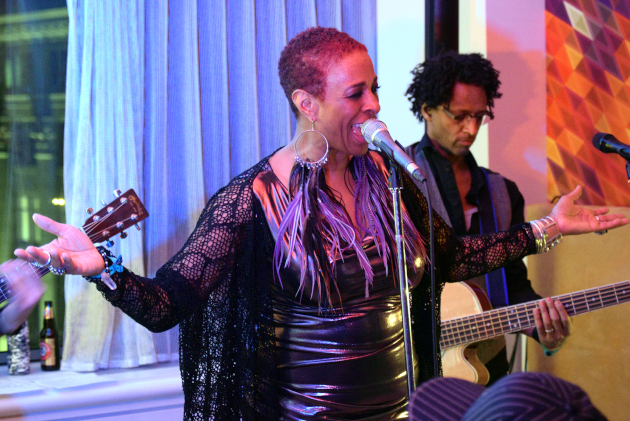 Editor’s note: With so many performers and performances, not everyone could be covered. Apologies to artists who feel omitted. 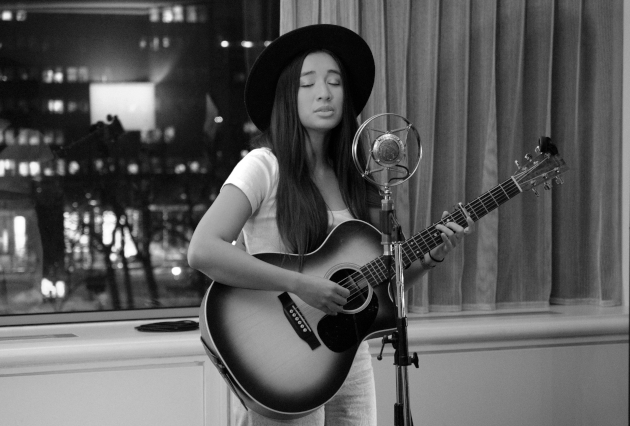 Raye Zaragoza plays the Sweet Beaver Showcase in a suite at Montreal’s Fairmont Queen Elizabeth hotel. 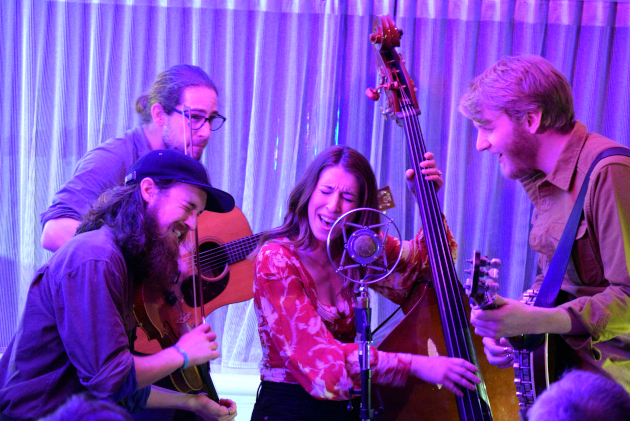 Dawn Landes played songs from her latest record “Meet Me at the River,” including the well-written”Why They Name Whiskey After Men” backed up by members of Mipso. The Father of Americana Jim Lauderdale rockin’ the yin-yangs. 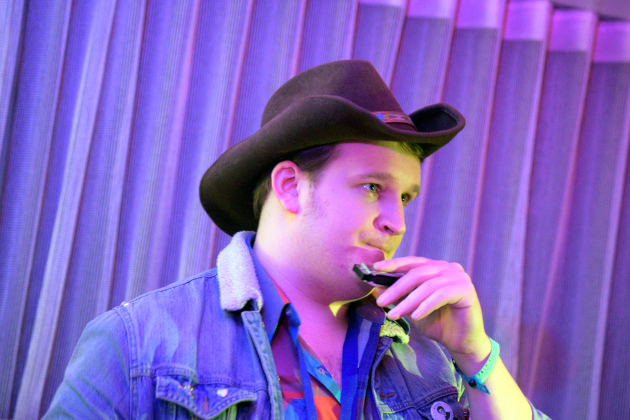 Ian Noe is a Kentucky songwriter in a similar vein to Tyler Childers. You’re going to want to keep an eye out for him in the future. 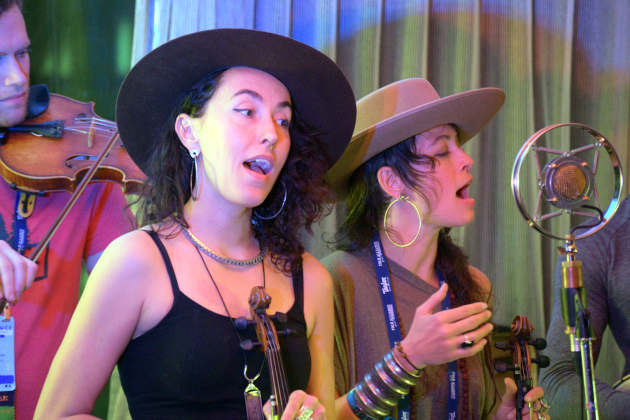 The sister harmonies of Rising Appalachia who have a new album “Leylines” out May 3rd. 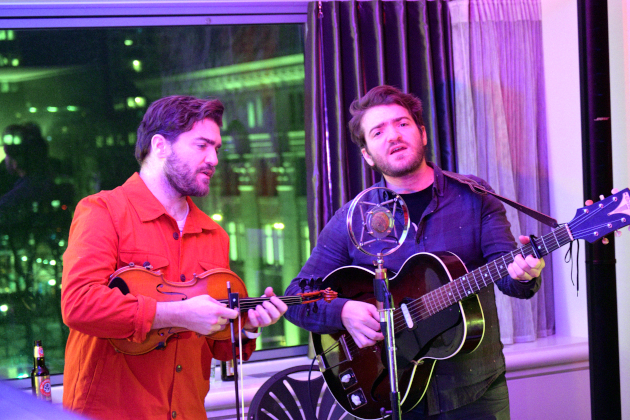 The Slocan Ramblers helped represent bluegrass at Folk Alliance 2019. Sarah Jane Scouten playing her official showcase. 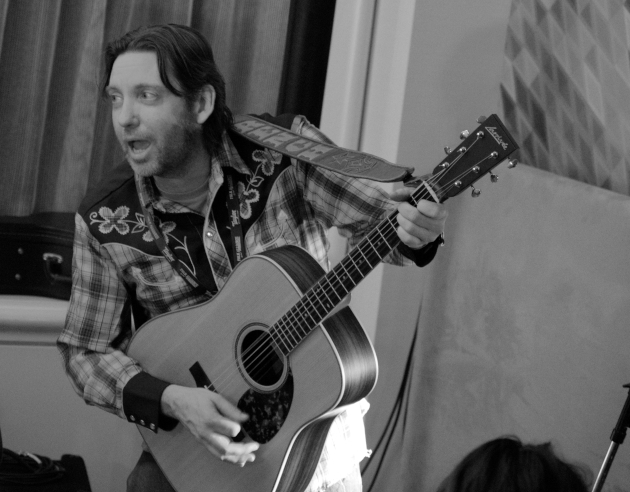 Bryan Hembree of Smokey & The Mirror (below), with M.C. Hansen of The Sentimentals on guitar. The Sentimentals are a Danish backing band that play behind many North American artists as they tour northern Europe. 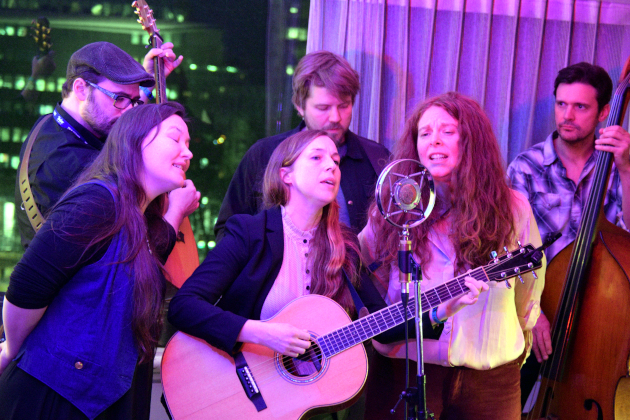 Folk Alliance regulars Lula Wiles whose new album “What Will We Do” has been roaring on the Americana radio charts. 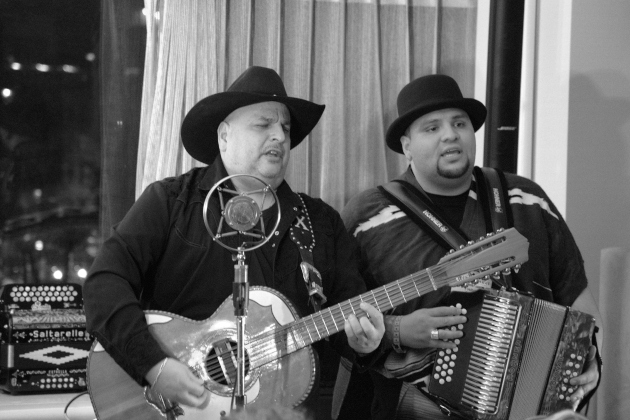 Los TexManiacs bringing the Tejano influence to Folk Alliance. Alex Cuba was one of the greatest discoveries at Folk Alliance 2019. 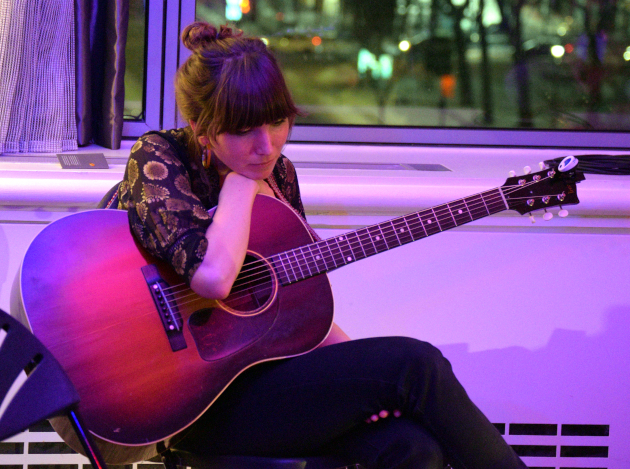 Anna Tivel takes a break to listen during a songwriting round. 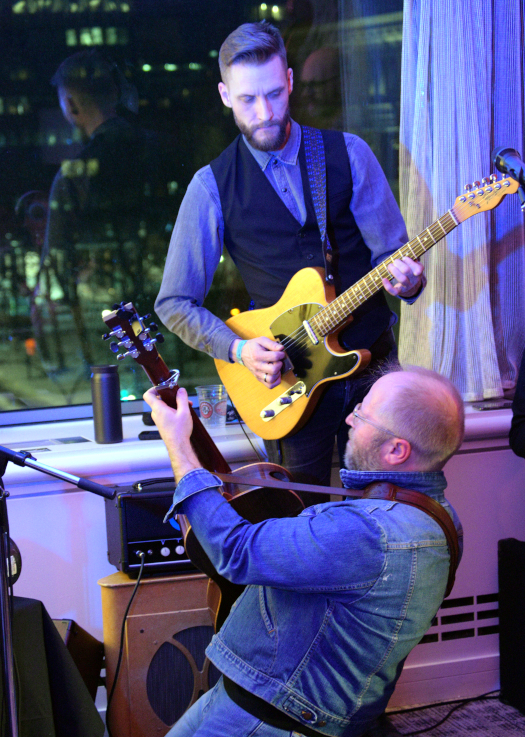 The Damn Tall Buildings brought some damn fine music to Folk Alliance. The future of string music is in good hands. 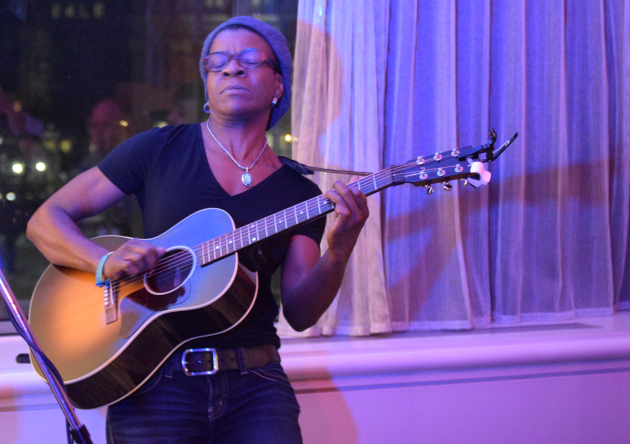 Cecile Doo-Kingue in the zone, and playing a home show in Montreal. Willi Carlisle is an absolute treat, from his heartfelt songs, to his silly banjo and accordion numbers, to his cowboy poetry recitations, he’s full of entertainment. Rosie and the Riveters bring sass and attitude to soul-drenched roots music. 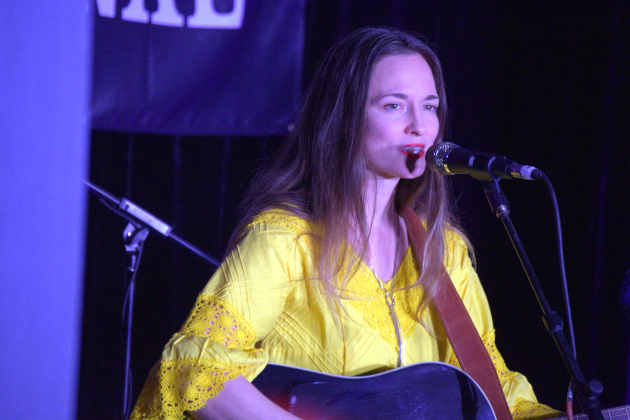 Kim Taylor exhibited understated songwriting brilliance at Folk Alliance 2019. David Wax Museum brought Latin-infused roots rhythm and matching stage attire. 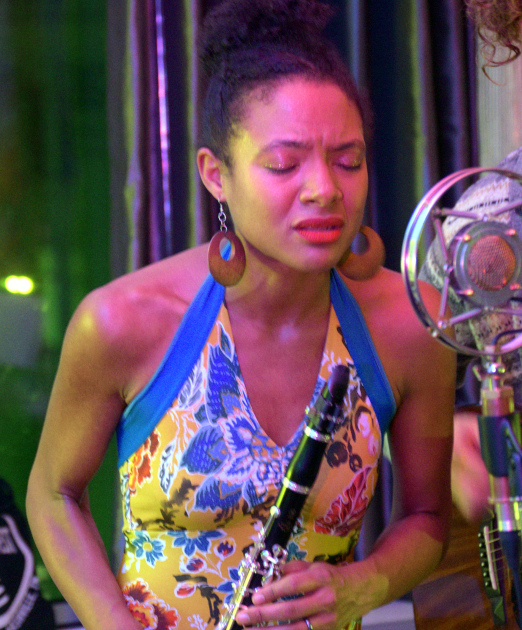 If everyone did everything they do in life with the same passion that Allison Russell of Birds of Chicago sings with, the world would be a much better place. 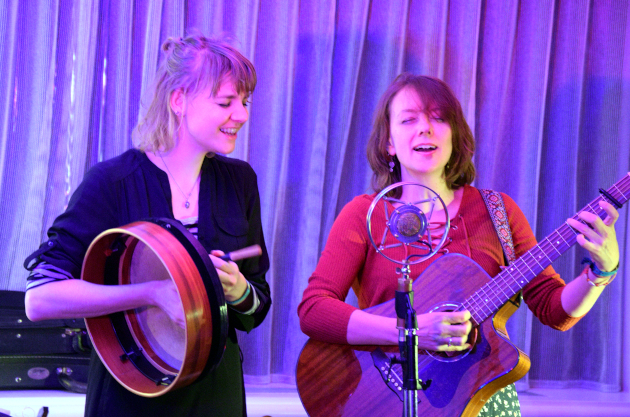 Stunning harmonies and perfect textures hushed the audiences for The Lasses. 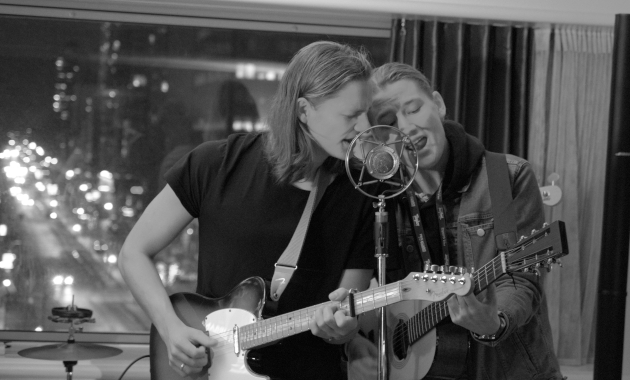 The Dimpker Brothers made the trek from Sweden to showcase their music at Folk Alliance 2019. Gangstagrass bringing the house down playing for the first time all around one mic. Thank you so much for posting this. I got several new bands/musicians to check out from this. Just wanted you to know how much i appreciate these types of articles even if they dont get dozens of comments. Anna Tivel is one of the best songwriter going today! Some people complain about the more tabloid and “political” related topics on this site…and then a story like this gets 4 comments. Hopefully the number of comments doesn’t directly correlate to the number of people that find this interesting and read it. 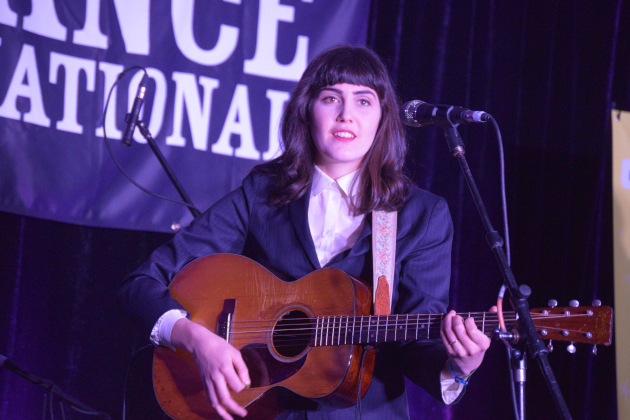 Folk Alliance is more of an industry event that really only interests a small group of folks as far as music coverage. The point of it for a journalist is to see lots of artists so when they release albums or go on tour, you have context. People love to complain about the articles they read, and ignore the types of articles they clamor for. That’s just the way it is. eight groups from Manitoba played at this, probably cause of wpg folk festival, Manitoba has a very strong roots music scene. I’ve been fortunate to attend this conference the past three years, but couldn’t make the trip to Montreal for this one. Next year’s conference will be held in New Orleans. If you love real music, I highly recommend it.